Quick Links: Best Portable Air Compressors Air pump filter mod? Air filters Led headlights lows highs drls and fogs What is it? Question about shifter console storage trays Wheel spacers on stock '13. Yes! Manhattan Beach can be very soothing. I personally love Hennessys even though the crowd can kill the vibe. Food is amazing and i love me a good guinness or jameson. You live in Manhattan area? Watt maker and jgcaps like this. Glenlivet is also really good! Cant say i've tried pike creek or macallan. I've also never been to Captain Kids. I am not a big seafood eater lol. I live in Hawthorne, just 10 minutes north or so. Watt maker, Doglover2003, Backslider and 6 others like this. I think that depends on who you are with more than anything. I think that depends on who you with more than anything. I think, more how you feel about the person your with eh. You got a point there John..
Not the most "scenic" location but I crashed the Tacoma World forum meet up in Santa Rosa! Great time! Fun guys! WallyT4R, Strandskov and HoBoDanny like this. 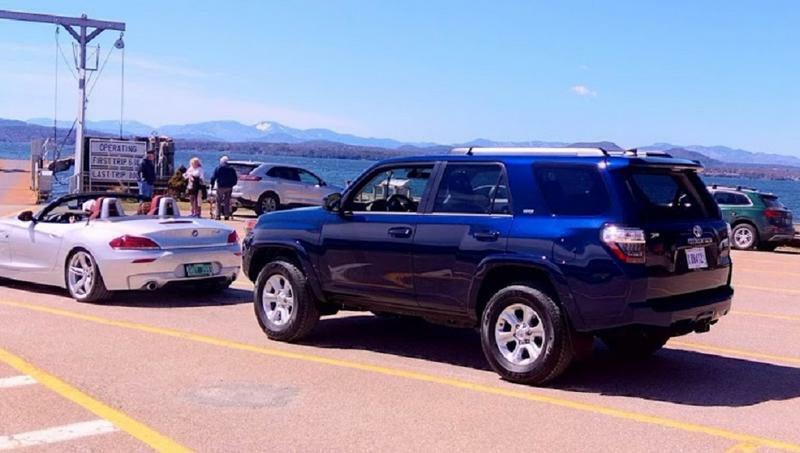 Waiting on the Charlotte, VT/Essex, NY ferry on the way home from picking up our 2019 4Runner. jgcaps, WallyT4R, Watt maker and 2 others like this. 4RUNLUV, MyWyfsRnnr, jgcaps and 5 others like this. 4RUNLUV, HoBoDanny, MattMo and 7 others like this. 4RUNLUV, jgcaps, Watt maker and 5 others like this. SlvrSlug and WallyT4R like this.